Having a barbecue is always a great way of bringing family and friends together, but lighting your barbecue the wrong way can turn a good evening into a bad one. Each type of barbecue has it's own method of lighting it. In this guide we will show you how to light a grill properly including propane & natural gas and charcoal. When Is Charcoal Ready To Cook On? 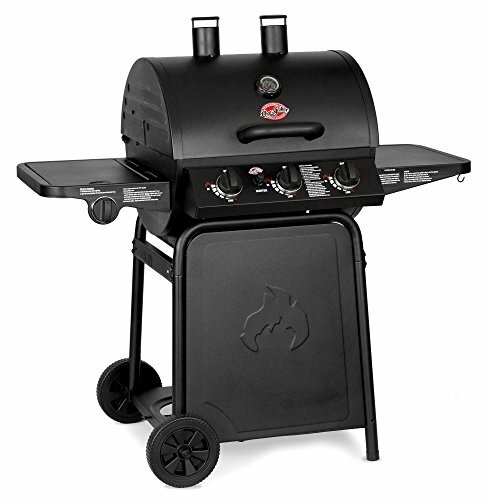 How To Make Charcoal Grill Hotter? How Long Does Charcoal Last? 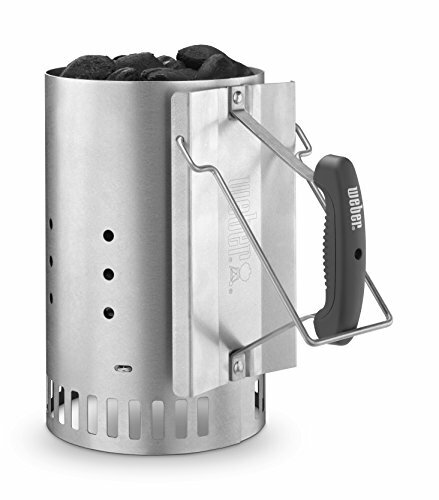 How To Keep Charcoal Lit? How Much Charcoal Do I Need? Warning: Barbecuing and grilling can be extremely dangerous. Fire and heat can be lethal so be sure to adhere to proper operation of your grill and barbecue. Also check out our BBQ safety tips for ideas of how to keep kids and pets safe. Consider using heat-resistant gloves, have a fire extinguisher nearby, and definitely respect your local fire laws and pay particular attention to dry season warnings. Safety concerns: Avoid adding lighter fluid to burning wood or charcoal as it could cause a serious flare up. Some types of charcoal is easily lit by a match and newspaper, whereas certain charcoal briquettes require you to follow the instructions. Lighter fluid may also help kick start your efforts, do not use gasoline or other fuels that are unsafe for cooking. If you are using a portable BBQ, place the barbecue on flat surface. If your standard grill is not level, make it level and secure. Put pieces of charcoal in the bottom of the barbecue bowl. Ensure that they are evenly spread to allow for even cooking. The exception to this is if you want to have an area to keep some things warm while you cook others. Scrunch up newspaper and place it just under the top layer of charcoal to prevent it from blowing away. Pour some lighter fluid on the charcoal. How much? It’s best to follow the directions on the bottle, but it typically doesn't take much. Ensure that there is no lid covering the top of the grill. Take a few steps away from the grill. Use a long handled barbecue lighter to light the newspaper from a distance. You could also drop a lit match, but it increases the danger of a spontaneous flare up causing injury. Once the charcoal has caught fire, use a pair of grilling gloves to safely place the lid on the grill and wait for it to be ready before using it to cook with. Put cumpled newspaper underneath in the bottom of the chimney starter​. Don't overfill it. Fill the top portion of the start with your charcoal. From the bottom, light the newspaper on fire. Wait for the coals to become smoky white. 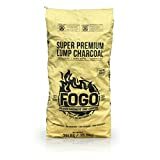 Now you're ready to use your charcoal on your barbecue. Charcoal takes approximately 20-30 minutes for it to be ready. The charcoal should turn a smoky white color. with hints of glowing red embers. Giving your charcoal fire enough oxygen will make it hotter. By placing a lid on your grill, you are reducing the amount of oxygen that it can get. Therefore you might consider leaving the lid off or cracking it open to allow air to get in. How fast are you burning the charcoal? How much charcoal are you using? Some grills and smokers can last hours (2 - 5 hours), while a simple barbecue bowl with no lid might last an hour at best. The solution is to buy a quality bag of charcoal, give it oxygen, and protect it from the wind. It's going to depend on what you're cooking and how much you plan on cooking. If you have a lot of food to cook for a barbecue, you may need to take a break by adding fresh coals to the hot ones and allow them to become ready before resuming your cooking. For back yard BBQ of burgers and steaks, you should have a solid layer of charcoal covering half of your grill bowl. This will allow for direct and indirect heating options. Check the set up to make sure all connections are correct. Locate the gas grill igniter button. Confirm that the heat deflector is placed well to allow easy access to light the grill. Open the lid and keep it open during this entire process to prevent an explosion. Use the knob to start 1 burner. Set the temperature appropriately depending on your cooking needs. Press the ignition button until a flame starts. You may need to use a manual lighter to light the grill burner if your grill model doesn't contain one or if it doesn’t work. Once burner one is lit, If needed, turn on the second burner. It should catch enough fire from the first one. Close the lid and preheat to your desired temperature before you start cooking. Did you enjoy this guide? Let us know in the comments with your favorite method and tips for lighting a barbecue.